As a wellness company, we know the vital connection between good food and good health, and therefore place nutrition at the core of our employees’ well-being. This is evident in GOCO’s Health Kitchen at the Bangkok corporate office, where daily healthy lunches made with locally sourced, fresh organic vegetables, Thai herbs and freshly made sauces are served. This enhanced office lunch experience is provided by our in-house Chef Khun Nuu, who has been with the company for 3 years and previously served at a well-known Thai wellness centre. Providing mostly vegetarian options, her cooking is a combination of macrobiotic principles with traditional Thai cuisine. The results are not only tempting and satisfying but they also promote a healthy metabolism while sustaining energy levels throughout the day. 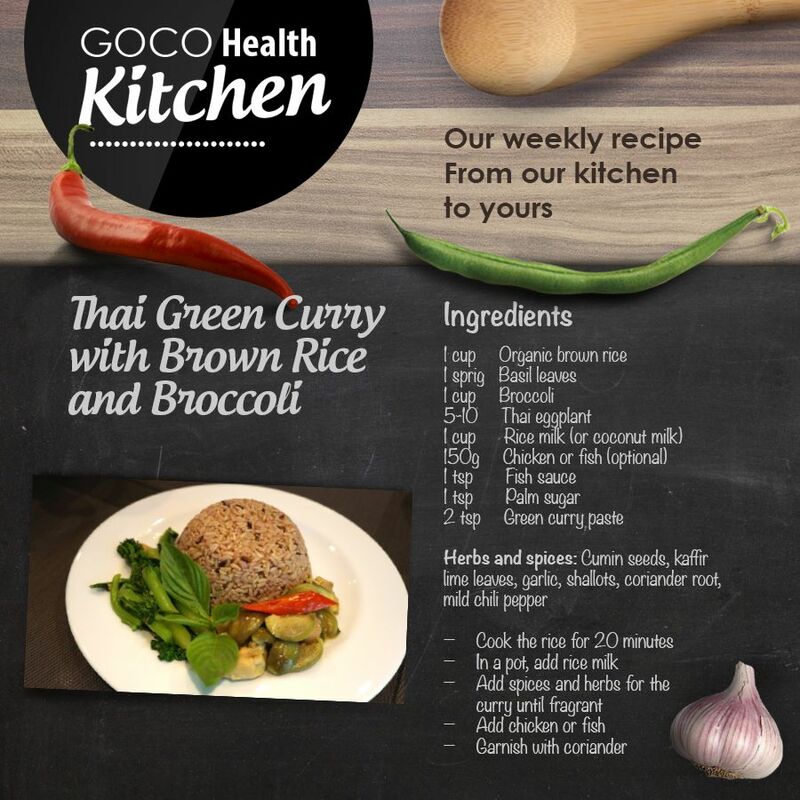 In order to whet your appetite for healthy cuisine, Khun Nuu wanted to share the following recipe with you. Like all of her recipes, one healthy ingredient stands out. In this case it’s broccoli, well known for its anti-inflammatory and antioxidant benefits that help to support digestion and may even prevent cancer.